Paddy Flaherty's Irish Bar, Plaza Joaquim Xirau (Just off La Rambla), 08002. 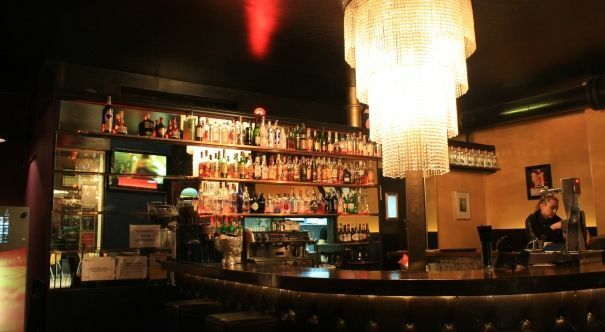 They're a few American bars in BCN. But if there's one thing the Irish are behind is drinking into the early hours of the morning, so naturally an Irish bar is the next best thing! 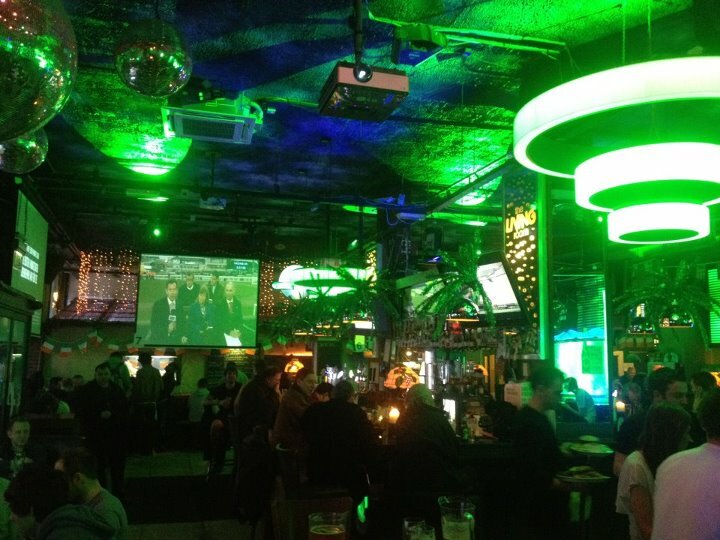 Paddy Flaherty's chill out atmosphere makes it a great spot to catch the Super Bowl. Plus the bar always has great drink promotions on offer! 7 Sins Bar & Lounge, Muntaner 7, 08011. This snazzy spot will play host to jerseys of all colours come Sunday! If you looking for a more chill experience then this spot would suit you best! 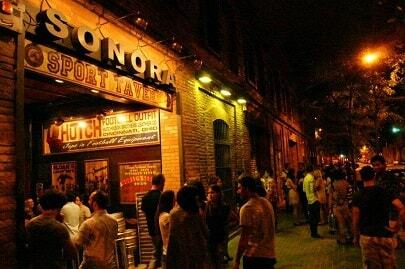 Sonora Sport Tavern, Pamplona 96, 08018. Sorana's Sport Tavern is a pretty hopping on the weekend anyway, so with the Super Bowl on the agenda you're guaranteed an animal night out! If you're not huge on the great American sport, this bar is still great for checking out as your bound to have good time. Attached St. Christophers hostel this bar will be freaking jammers. Belushi's is also really popular with the local youths so it makes a great venue to catch Super Bowl and have a great night with the student/backpacker mix! Plus their food is amazing! And if you find a special someone, there'll be rooms available ;). Hard Rock Cafe, Kurfurstendamm 224. 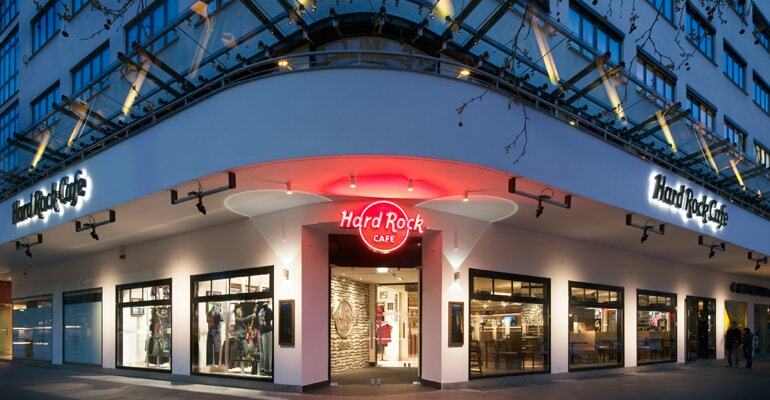 We couldn't possibly make it through this list without mentioning the Hard Rock cafè. 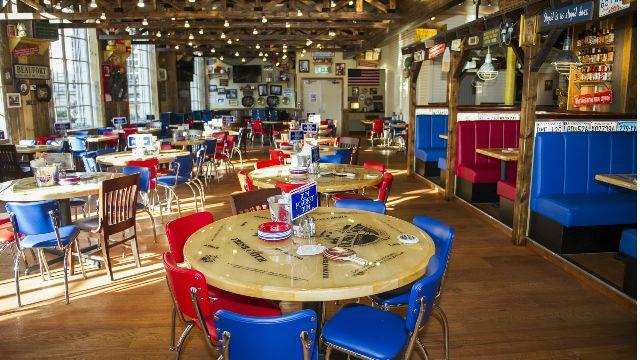 This American themed overload restaurant makes a great place to watch the big game as you'll be surrounded by American memorabilia, with burgers served all night and beer everywhere you're definitely getting the whole Super Bowl experience. It's more on the expensive side, so if you're on a budget it's not the ideal place for you. Juleps New York Bar & Restaurant, Giesebrechtstr. 3. Certainly on the classier side of pitchers of cheap beer and shouting, Juleps New York Bar will probably have less of a rowdier crowd, which could be good if you're so hungover from the weekend antics but still want to catch and drink and watch the game in peace. Hooters, 1061, Budapest, Liszt Ferenc tér 5. Most people come to Hooters for the em, staff. Personally, Hooters best assets are those chicken wings. I mean damn are they good! Combined with plenty of beers and quality HD screens to catch the Super Bowl it's going to be a spectacular time. 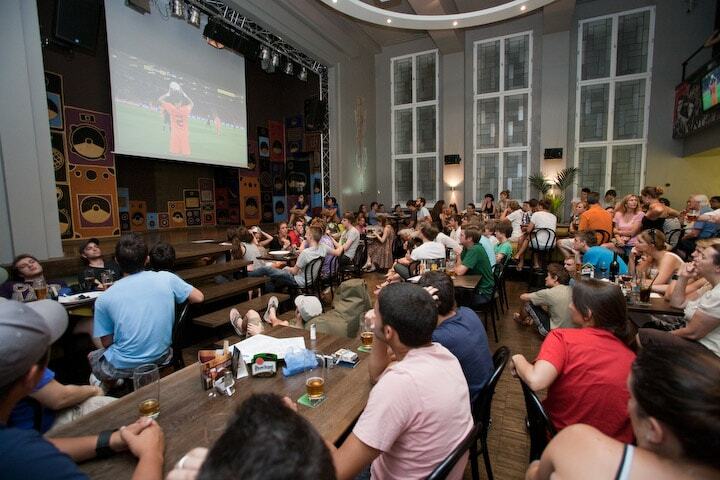 Americans will flock from all over Budapest to watch the game here, so it's best to book a table! Champs Sports Bar, 1074 Budapest, Dohány u. 20. Központ, 1075, Budapest, Madách Imre út 5. 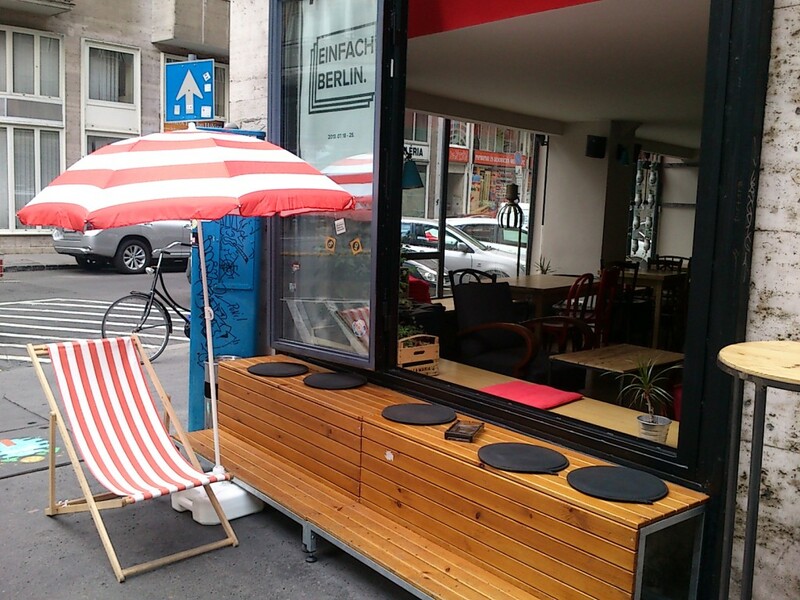 If you're a true fan of the ruin bars Budapest has to offer then this is the place for you! 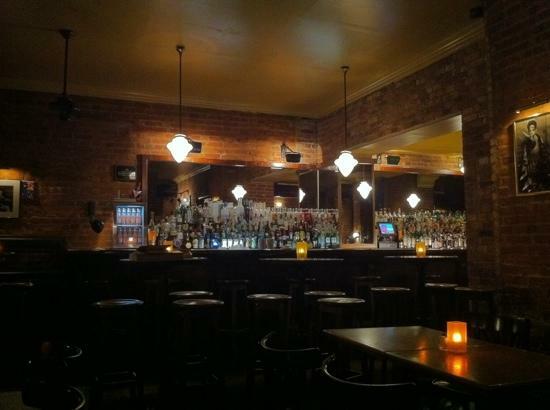 Although it's actually not a ruin bar, it carries the same laid back vibe. The crowd will mostly consist of young students/locals. So it's a good spot for a party and to watch the game! Dublin's biggest sports bar is going to be awesome this Sunday. Not the prettiest of places, but it's going to be the best spot to watch the Super Bowl as all true sports fan will flock here! Beer is cheap, the atmosphere will be a bit insane, so get down there early in order to grab a table! The WoolShed is a close contender to The Living Room. Although it's an Austrailia themed bar, it doesn't stop American football fans from taking over the place. Also, if you get a hungry, try their chicken wings. They'll blow your freakin' mind. Trinity Bar, 46/49 Dame Street, Dublin.2. 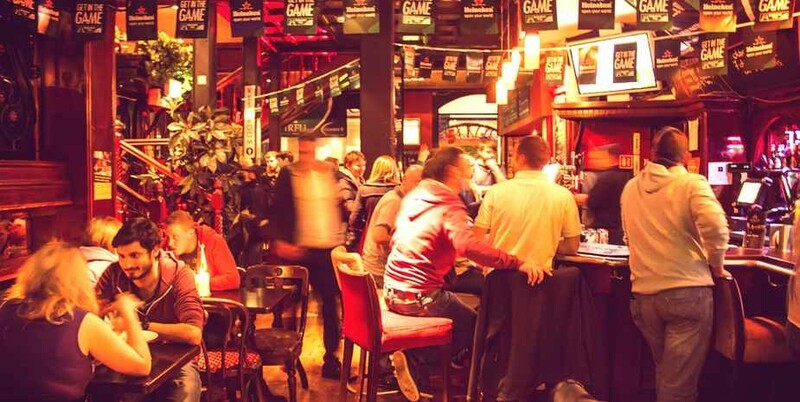 If you want both the experience of an Irish pub AND the experience of watching American football, Trinity Bar is the place for you. 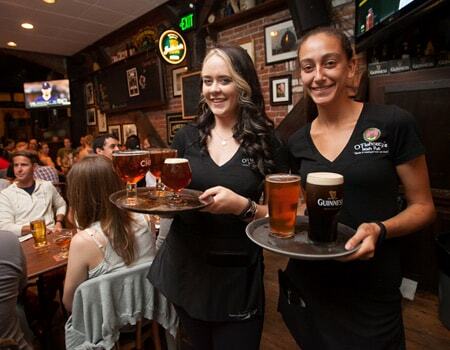 This large, but cosy bar has huge screens, great bar food and gallons of delicious Guinness to satisfy any Irish/American need you may have. 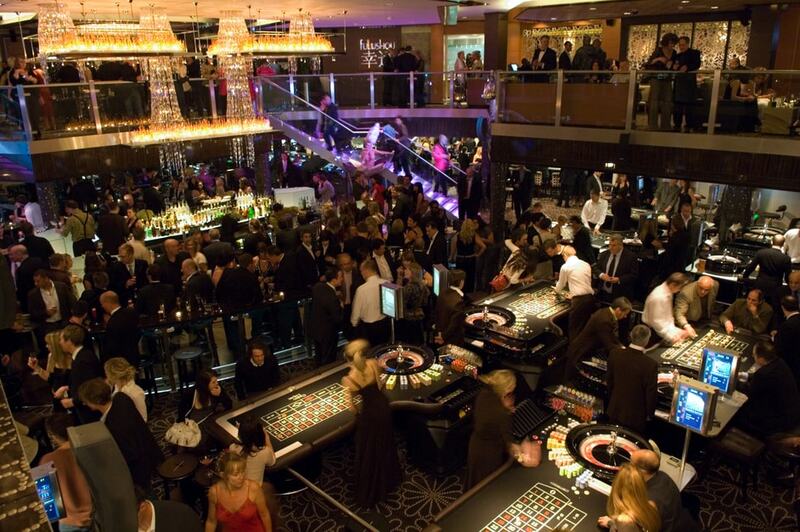 The Casino at the Empire, 5-6 Leicester Square, WC2H 7NA. If you want to take on the experience of watching the Super Bowl to the next level, The Casino at the Empire is the place to be. You can look like James Bond and get extremely wasted, watch the game of the year all at the same damn time. Heaven exists. Bubba Gump Shrimp Co - Trocadero, W1D 7AB. THIS PLACE EXISTS! How amazing is that! London being a money sucker this is actually probably one of the cheaper options. Entry is ten pounds, and it includes a beer! Also, they have buckets of fried shrimp. I don't know about you, but a bucket of fried shrimp is a good enough excuse to do anything or go anywhere. 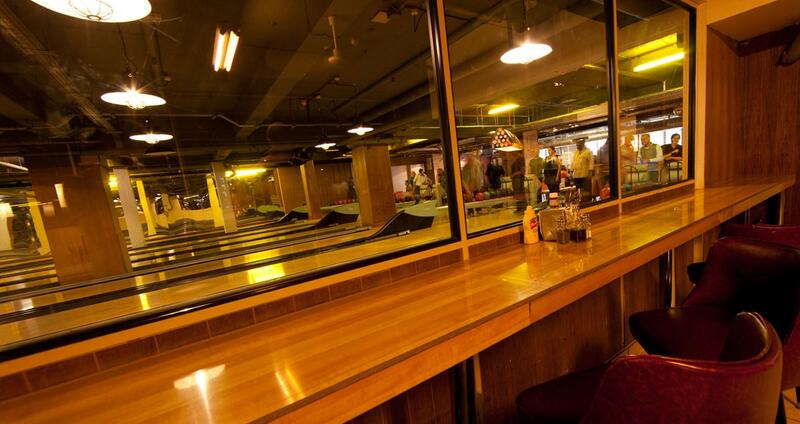 Bloomsbury Bowling Lanes, Tavistock Hotel, WC1H 9EU. Bowling, Beer and the Super Bowl. How awesome does that sound? Round up a few folks from your hostel, book a lane and have an amazing night! You probably couldn't get a more American experience if you tried. What a memory it would make! 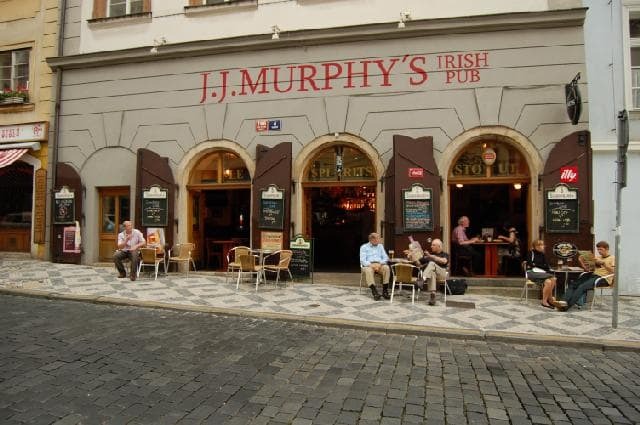 J. J Murphy's, Trziste 4, 110 00. Another Irish bar on the list, but as I mentioned above sports and drinking go hand-in-hand with the Irish. J.J Murphy's is pretty outstanding pub. Their bar food is pretty delicious, perfect for preparing that stomach for a night of hard drinking. You get a great homely feel of the place, so if you're in need of some sense of unity this bar is the place for you! Restaurace Jáma – The Hollow, V jámě, 1671/7. Jàma will be full of sports enthusiasts come Sunday, since it's a bit on the small side of venues, I'd recommend getting down early to grab a spot! 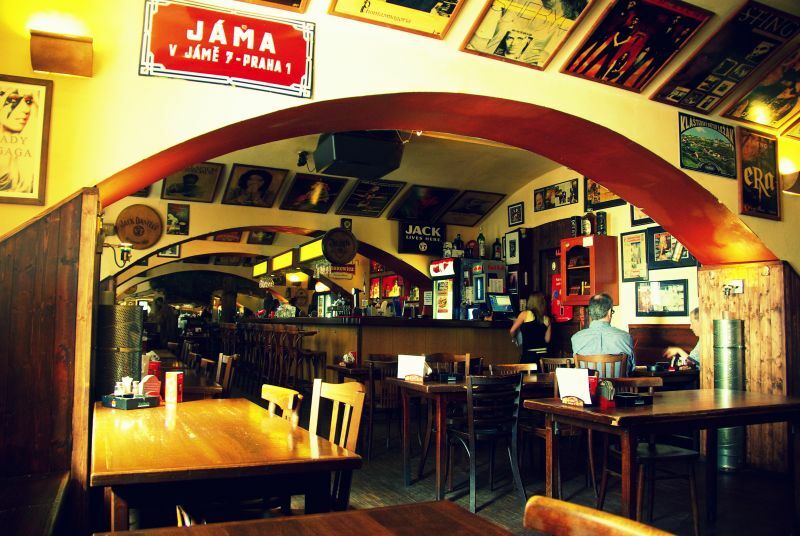 If you're freezing your balls off, which let's face it Prague in January you most certainly are, Jamà makes for a great spot to keep warm without the alcohol blanket! Great Czech beer too! Mosaic House, Odborů 4, 120 00. Look at that screen! I'm already won over! But if you need a little more convincing... I'd advise anyone to come down to Mosaic house to chill out, meet other backpackers and just have a good time. No doubts they'll be some yanks in the place to tell you how the game works and what team you should root for! If you weren't planning on heading out this Sunday night/Monday morning to watch the Super Bowl, you should really consider it! I'm not an American or even a sports fan, but for the past four years I've had a great time yelling at teams I had no emotional attachment to previous to kick off. I've met awesome people, had a good time and even learnt a thing or two about the great American sport! 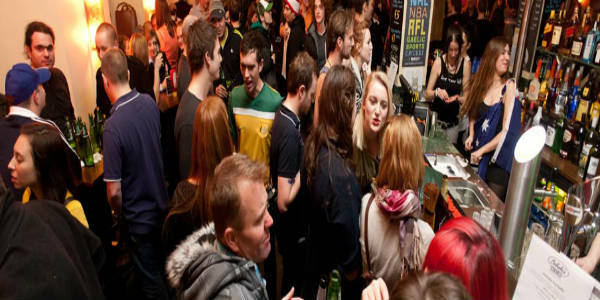 So grab some new hostel pals and head to the sports bar!